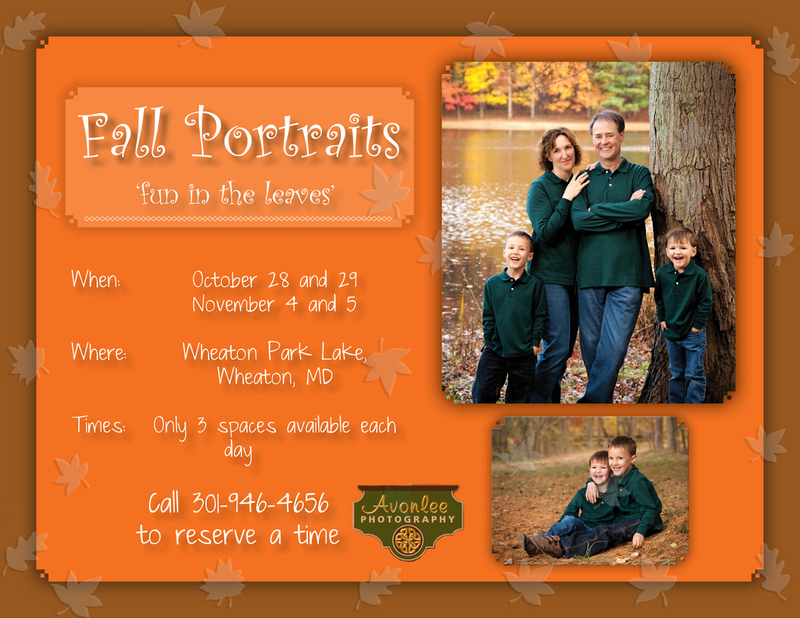 This year our fall portraits take place at Wheaton Park - the beautiful lake and trees in the park will be the background for your portrait session. The following 9 times are still available - call immediately, our Fall Portrait sessions always sell out! Call 301-946-4656 to reserve your time!